Genting Casino should be familiar to anyone that’s ever placed a bet in the United Kingdom. The massive Genting Group owns over 40 different casinos across the U.K. and is one of the world’s most respected gaming companies. The 50-year-old Genting Group is one of the most well-established names in the casino world and players can rest easy knowing their funds are safe on the site. The online version of Genting Casino does not disappoint with one of the slickest interfaces we’ve ever used and an impressive collection of high-quality games from elite developers. Genting Casino is home to hundreds of fantastic slots but its table games are also exceptional. In an effort to emulate its heritage as a real-life casino operator, Genting has a very solid lineup of table games including the standard Baccarat, Blackjack and Roulette but also dipping into some more unusual games like European Roulette, Caribbean Poker and many others. Does Genting Casino live up to its high-profile reputation in the Brick & Mortar casino world? We investigate below. Genting Casino is a very well rounded casino that features over 300 games that range from some of the most famous slots to lesser-known table games. There are other casinos that offer more games but Genting offers an incredibly high-quality mixture of games with barely any duds. In general Genting Casino feels very much like the high-limit area of a Brick & Mortar casino with a classy dark aesthetic and a quality interface. Genting Casino feels very streamlined compared to some of its competitors and that’s definitely one of the best reasons to play on the site. Some sites are needlessly complicated and take away from the overall gambling experience. That’s not the case with Genting. If anything is a calming place to play. The web-based software not only looks good but it also performs very well with snappy transitions and relatively few crashes. Genting Casino is also home to a fantastic selection of slot developers including Microgaming, Novomatic, Playtech and a few more. It’s a very good mixture of slots and there are very few high-end slots missing from the site. Thanks to its position as one of the biggest players in the gaming world, Genting Casino also offers some cross-play with its popular sports book and even its live casinos. As you might expect Genting Casino is an exceptionally safe place to play with gaming licenses from both the U.K. Gambling Commission and Alderney Gambling Control Commission. Genting is one of the biggest companies in the world so security is one of the site’s main features. Another great feature of Genting Casino is that it has a reputation for fast payouts. Payouts tend to vary from player to play but Genting has some very positive reviews in that regard. 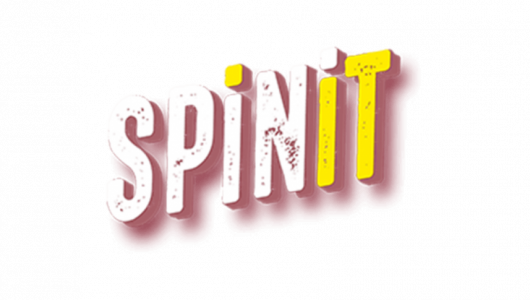 Genting is such a large casino that it also offers some incredibly large payouts and players have won £250,000 on a single spin in the past. 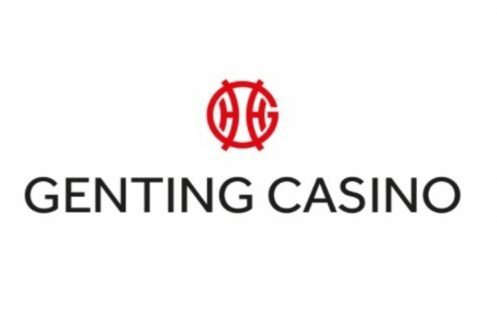 Genting Casino offers a rather generous welcome package for new players that features a 100% deposit match up to £1,000. The 100% match is standard in the gambling industry but the £1,000 is not. Many online casinos top out at around £100-£200 so a £1,000 match is very generous. Unfortunately Genting does have very high wagering requirements but we’ll get to those later. Genting Casino also offers a few notable reload bonuses including a £10 zero insurance offer for Genting Live Roulette. It’s a nice nod for table game players who sometimes miss out on slots promos. 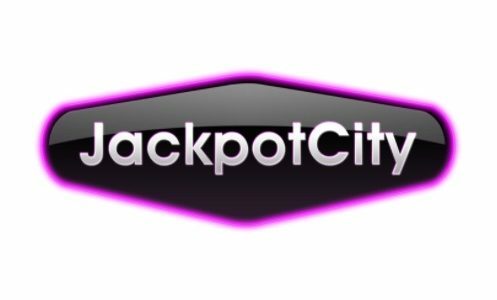 Blackjack players also get 20 chances to win £10 during certain times if they deposit £20 or more that week. Furthermore Genting Casino also offers a very developed VIP program, called Black VIP, where players can potentially get a 100% deposit bonus every week, cashback on casino losses twice a week, increased table limits and more. The Black VIP program makes Genting Casino an ideal place for high rollers but not only the high rollers will enjoy playing here. Genting Casino offers a very big sign-up bonus but it can be difficult to unlock thanks to the 50 times wagering requirement. That means you must wager your bonus cash 50x before you can withdraw it. That’s not entirely unexpected considering the massive deposit match (which can go up to £1,000) but it will take a considerable amount of time unlock. In addition wagering contributions vary from game to game with table games usually providing only 10% towards requirements. Be sure to check the terms and conditions of your individual bonus to see which games count towards your wagering requirement. Fortunately not all bonuses have a wagering requirement of 50x. Some of the weekly reload bonuses only have a 10x wagering requirement, which is very low. Genting Casino offers a great mix of slots from the biggest iGaming developers. 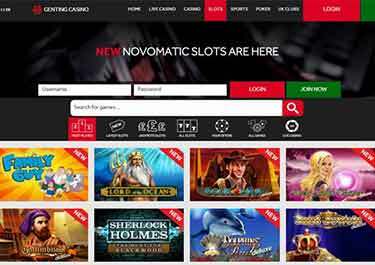 There are a number of casinos that offer Novomatic, Playtech and Microgaming but it’s rare for a site to offer all three of the major players. Genting was able to pull it off, however, which means players can play hundreds of renowned slots including Book of Ra Deluxe, Cleopatra Plus, Baywatch, Mystic Secrets and Pharaoh’s Fortune. Perhaps the only gaping hole on Genting Casino’s slots roster is the absence of NetEnt. That means there will be no Starburst action on Genting. On the bright side Genting Casino offers a full assortment of video poker machines with Bonus Poker, Double Bonus and Double Double Bonus all represented. Genting Casino is also one of the best places to play table games with Blackjack, Baccarat, Roulette and various variants of each game all available for play. If you prefer gambling against a real dealer, Genting has a massive live casino section with all the aforementioned table games in addition to Dream Catcher, Caribbean Stud Poker, Casino Hold’em and more. Genting Casino also has exclusive VIP streams from Crockford’s Casino. You won’t find those streams on any other site and it’s definitely a unique selling point for Genting. 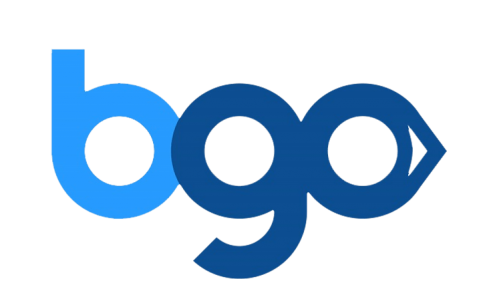 There are a decent number of ways to get money on and off Genting with support for bank transfer, Visa, Mastercard, Clickandbuy, Maestro, Solo and Visa Debit. Payouts are generally quite fast with credit and debit cards taking a few days. Wire transfers will usually take a bit longer at close to a week. As you might expect from a VIP-branded online casino like Genting, there are no withdrawal limits. Genting Group’s online casino is what you might expect from the gaming behemoth. The site is exceptionally slick. It looks and plays great with a heavy emphasis on style. Very few sites look as good as Genting Casino. There are some casinos that artificially boost the number of games by adding a large number of duds but Genting Casino doesn’t go that way and instead offers a highly curated list of great games. It helps that Genting has partnered with almost everyone of the major slot developers to offer a superior experience for players. The table games on Genting Casino are also very, very good with a wide assortment of options that you won’t find on every site. In addition Genting offers some truly exclusive live casino games by actually letting players take part in live streams from its highly-touted Crockford’s Casino in London. It’s not all roses for Genting, however. The site is missing a few chosen slots and its wagering requirement for bonuses is one of the highest in the industry. Genting also might not be for the average online gambler as it seems to be positioned primarily for the high roller clientele with a VIP program that requires players to invest a serious amount of time and cash. Despite those downsides, Genting is Casino an incredibly high-profile VIP experience that every online gambler should experience at some point or another.